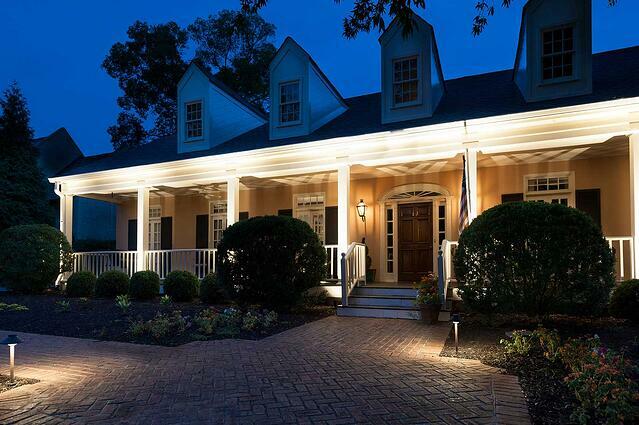 Many homes have challenging architecture from a lighting standpoint. What do you do if you have detached dormers, detached or offset gables, or other architectural elements that simply cannot be lit from ground level? If you up light most of the front facade on your home, but leave the highest gable peak in the dark, does it really matter? Yes, it absolutely matters! Continue reading and learn why. 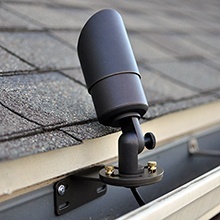 Gutter mounted fixtures are often required to create a consistent wash of warm light on the facade of a home. Without them, many homes have huge black holes where the house exists, but isn’t being lit. 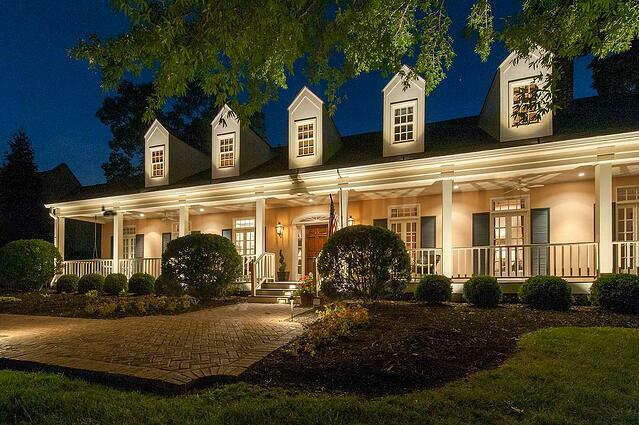 Aside from creating a cohesive and balanced lighting effect, gutter mounted lights usually hit the highest peaks, making the home appear larger and more impressive from the street. Many times the most impactful attributes of a home’s architecture are at the peaks, making these specialty mounted fixtures a must for anyone considering an architectural lighting system. 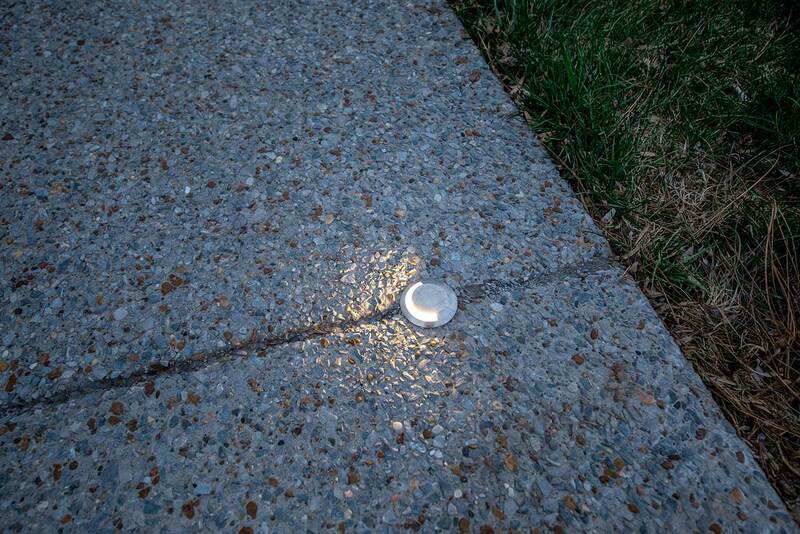 Most of the time the low voltage wire that must run to these fixtures can be hidden in downspouts and gutters. Occasionally, wiring an up light in such a way isn’t possible, and these special situations call for some creative solutions that are custom to each project. 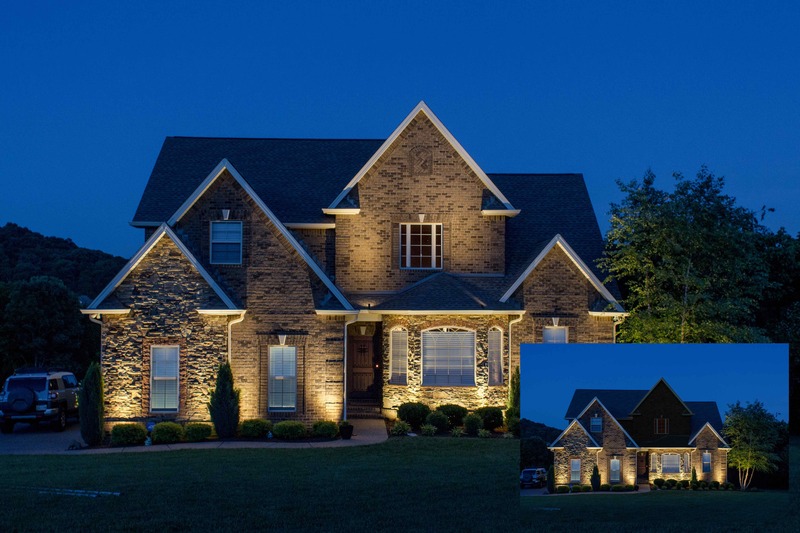 If you have a two story home or larger and you’re interested in having architectural lighting on it, chances are you’re going to need some gutter mounted up lights. 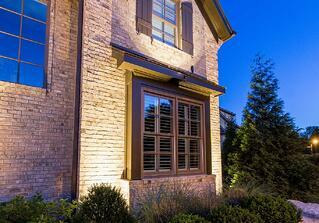 Make sure you hire a reputable outdoor lighting designer. 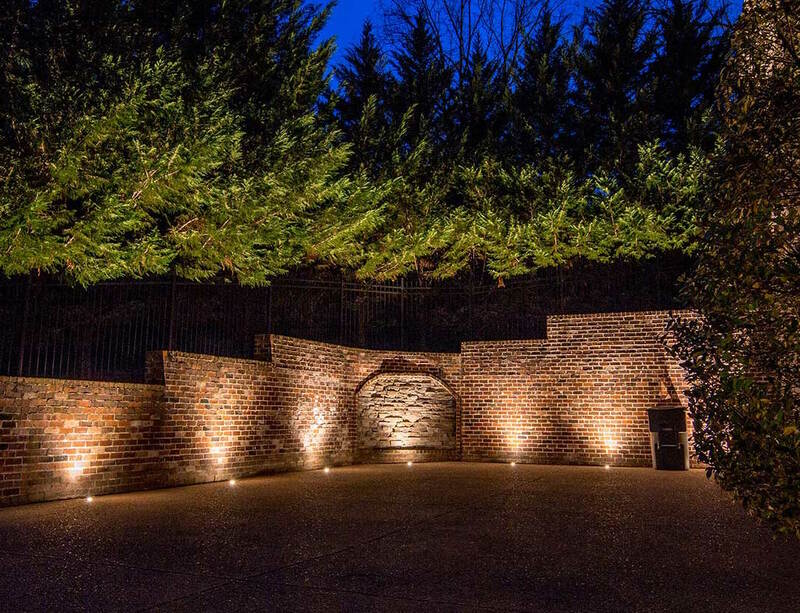 There are many landscaping companies who offer landscape lighting or architectural lighting, but they aren’t lighting designers. When you hire someone who knows what they’re doing, they get the lighting effect right.